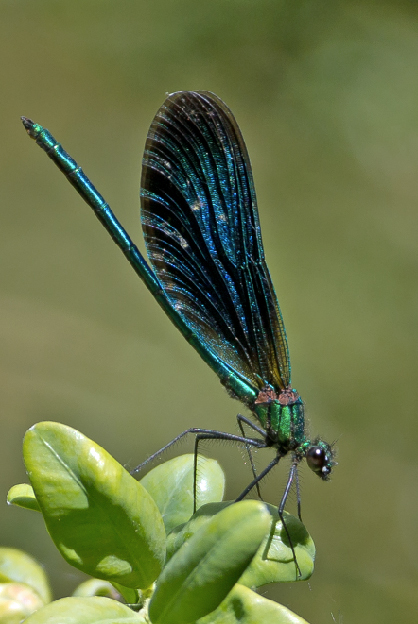 The Beautiful Demoiselle (Calopteryx virgo) is a common species throughout much of Europe. Here in the UK it’s a very common species which tends to occur in large numbers. It has a preference for fairly wide, slow-flowing and sunny streams and rivers with a reasonably good water quality. 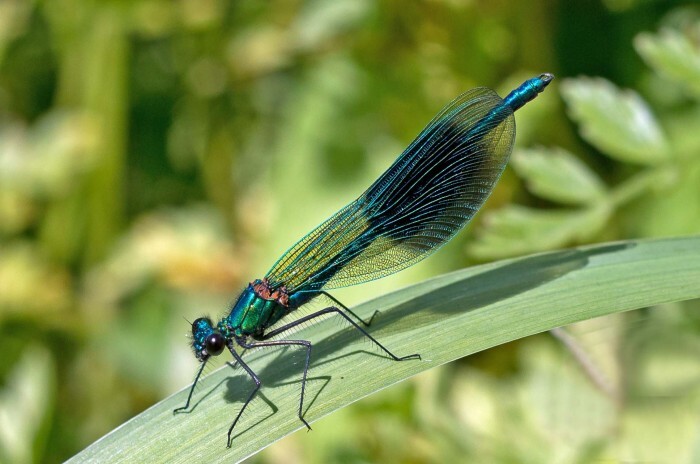 Damsels are frequent visitors to the Vyne during May to September. The nymph stage of their lives is around two years and newly emerged males live for about two weeks. Males compete on the wing for breeding territories. A territory owner will then court females by opening their wings and performing an aerial dance. Adults generally feed on insects caught on the wing or plucked from off vegetation. As you can see below Damselflies make wonderful photographic subjects. Another regular visitor to our gardens is the Banded demoiselle. In flight these two species can sometimes be difficult to identify.